Green solvent and plastisol resistant blockout and retouching filler. CPS Ultra Coat® SR Green is a solvent resistant filler that can be used to give a contrasting colour when using red, blue or purple emulsions. 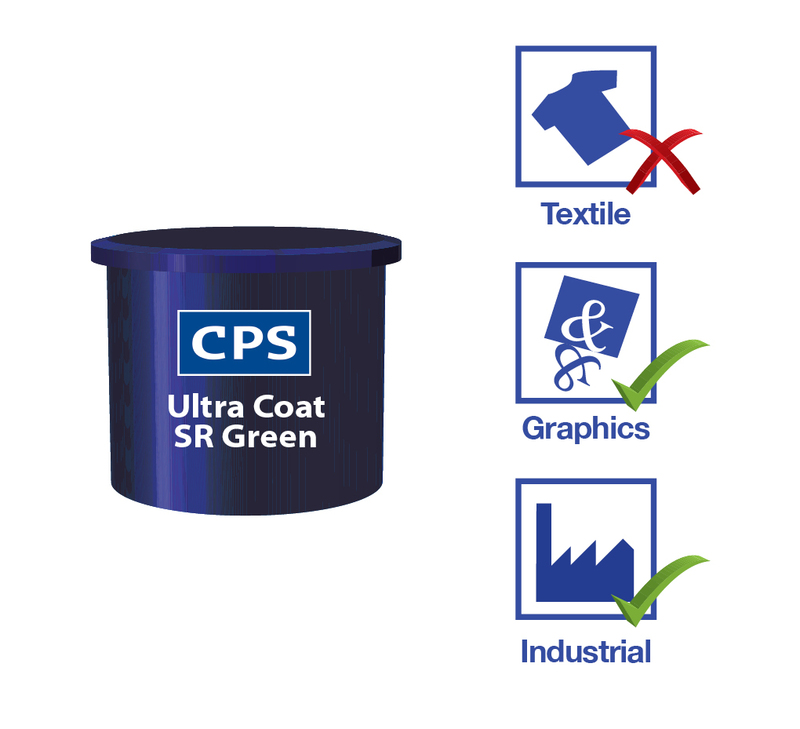 CPS Ultra Coat® SR Green is a solvent resistant filler that can be used to give a contrasting colour when using red, blue or purple emulsions. Refer to Product Data Sheet. 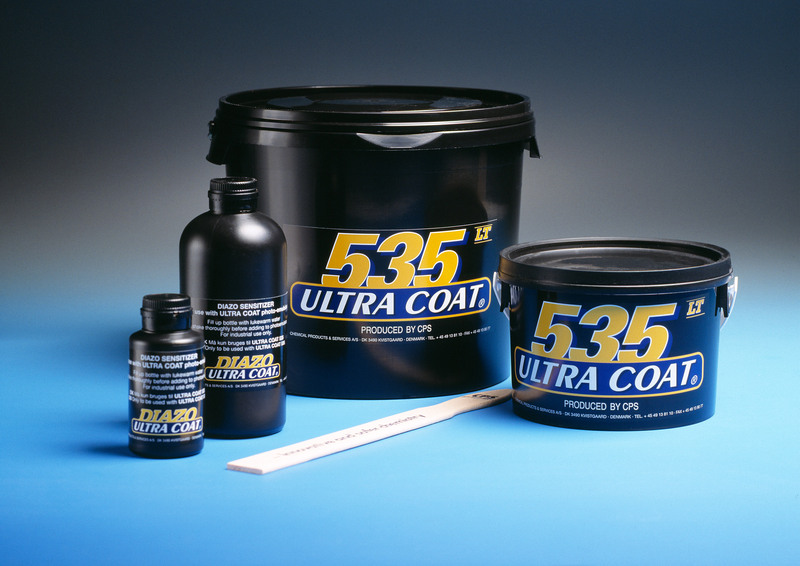 Recommended for all applications requiring a block out and retouching filler that is resistant to plastisol, solvent based and conventional UV curing inks. CPS Ultra Coat® SR is not suitable for water based inks; for water based inks CPS Ultra Coat® WR is recommended. Available in trade packs of 4 x 1Kg and 2 x 5Kg.